“YMRS” Series Motors interchange with Charlynn 103, Danfoss DS, White RS. Roller-type motors - higher efficiency, more torque, speed. Smoother performance at low speeds, high torques. 1" keyed shaft. NPT ports. 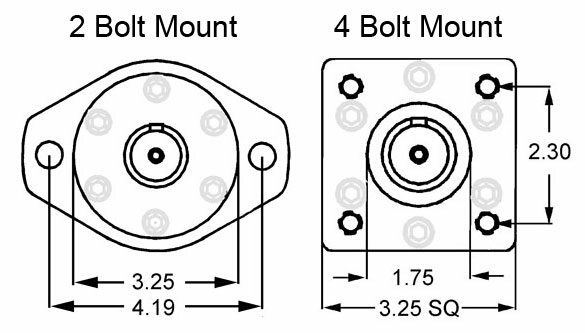 2 Bolt and 4 Bolt Mount. Other shafts & ports available - call us!